Adventure Park opens its very own out-of-this-world ride! 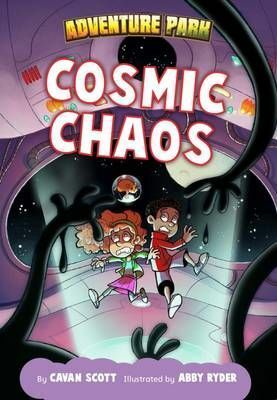 Emily, Jacob and Frank travel a crazy cosmic escalator into space. But what will they do when they encounter scary aliens who want to eat them alive? Cosmic ChaosAdventure Park by Cavan ScottAdventure Park opens its very own out-of-this-world ride! Emily, Jacob and Frank travel a crazy cosmic escalator into space. But what will they do when they encounter scary aliens who want to eat them alive.